July, it's been real. August, WELCOME! I don't know what exactly will go down this month but I'm open to all the good that is in store for me and each of you and am super excited about August and what magic is on the horizon. 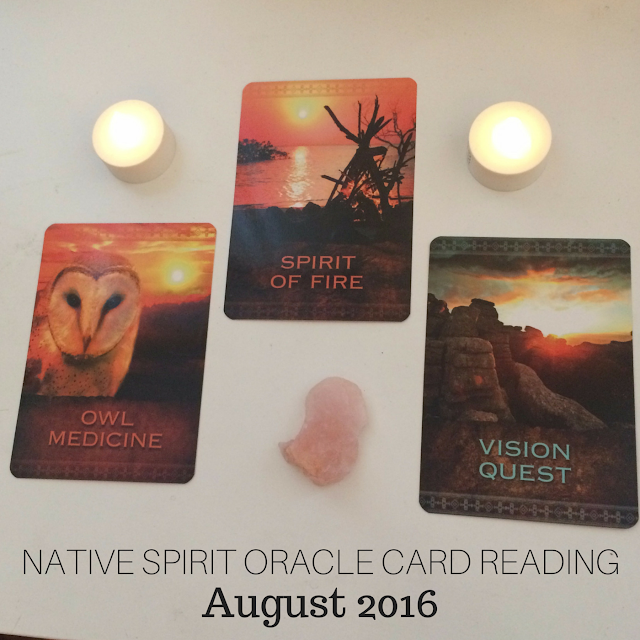 Below is our Native Spirit Oracle Card reading for August 2016 and this month, it's all about us having vision, trusting our intuition to guide us and being on a quest to seek out information, evidence, experiences and thoughts that feel good to us and support our visions and passions. Check out the full reading below and let me know your thoughts about this month's reading and how you feel it applies to your life.